From battery power to mains supply. Lynx Electrical and Security can provide household Fire Alarm systems to suit every budget and circumstance. Keeping your business thriving is hard enough in these difficult times, without having to worry about the effect of a fire. Let us give you peace of mind that if fire strikes, you have done everything you can to alert, prevent and defeat fire. 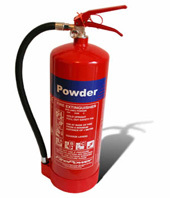 In the event of a fire, having the correct fire extinguisher can prove life or death to your business as well as occupants. Don’t run the risk.